Banff & Buchan MSP Stewart Stevenson is highlighting the fact that DIY company, B&Q is encouraging constituents and community groups in Banff & Buchan to enter the One Planet Living Awards 2009. “Do you know of a local environmental group, community organisation, school, and charity or sports club in Banff & Buchan that could be transformed with an award of up to £10,000 of B&Q products? “The B&Q One Planet Living Awards support a progressive new partnership with sustainability experts BioRegional, which aims to help reduce our ecological footprint and to help people do the same. “One Planet Living is based on the premise that if we continue to live as we do in the Scotland, we will need three planets to maintain our way of life and, of course, we only have one. We have to lower our impact on the planet and our use of its natural resources. “The B&Q awards are open to organisations across the UK and Ireland which are working on projects that aim to enhance the local community or help us to return to One Planet Living. “This year is B&Q’s 40th birthday and they are looking to support 40 projects as with awards of 1 winner of £10,000, 4 winners of £5,000 and 35 winners of £2,000. Stewart Stevenson, Minister for Transport, Infrastructure and Climate Change today announced the appointment of Mr Grenville S Johnston as interim Chair of Highlands & Islands Airports Ltd (HIAL) and the re-appointment of two of the company's Board members, Mrs Linn (Linda) Phipps and Dr Charles A (Alistair) Goodlad. Banff & Buchan MSP Stewart Stevenson has condemned the actions of the Liberal Democrats that have put in jeopardy £1.8 billion of extra funds for Scotland and have put thousands of jobs in danger. At a time when this budget and the funding it would bring are needed most, the Lib Dems have taken the decision to play politics with people’s lives and vote against the SNP budget. The Liberal Democrats failed to even engage with the budget process, calling as they did for an outrageous £800 million cut to the Scottish budget. Until a budget is passed, Scotland will be unable to draw upon the increased funding that has been put in place for the next financial year – an increase of £1.8 billion that has been put in danger. “This recession started with Labour’s economic irresponsibility, and by voting against the budget they have gone to new extremes. By choosing to play politics with much needed investment, money that would have secured thousands of jobs, they have shown that they care nothing about the people of Scotland. “This budget would have secured funding for another year’s council tax freeze. Instead, Local authorities, health boards and all who rely upon them face uncertainty and confusion. “The SNP has announced that we will bring another budget bill before parliament as quickly as possible. We want our health boards to be funded, our businesses to be secure and our councils to be supported even though the Lib Dems clearly do not. Banff & Buchan MSP Stewart Stevenson is urging residents of Banff & Buchan that are worried about their energy bills and keeping warm over winter to follow the advice of Energy Action Scotland. Make sure your home is as energy efficient as possible. Get advice about easy and inexpensive ways you can save energy, for example by draught-proofing or by using appliances in a more economical way. You can also find out about making your home or your heating system more energy efficient, perhaps with cavity wall insulation or a heat pump. Contact the Energy Saving Scotland advice centre on freephone 0800 512 012. “There is a large range of bodies that are able to give good advice to people that are struggling with energy bills or with inefficient heating. I strongly encourage residents to see if they are entitled to some kind of assistance by contacting people that can help them. Banff & Buchan MSP Stewart Stevenson has welcomed the news that the Scottish Government is to provide even more funding to support Scottish homeowners that are struggling to meet their mortgage repayments in the current economic climate. An extra £10 million will be invested in the Home Owners’ Support Fund, taking the total up to £35 million over the next two years. The fund will be used to support an improved mortgage to rent scheme and a new mortgage to shared equity scheme, helping homeowners stave off the threat of repossession and eviction from their homes. “Many homeowners are facing a hard time keeping on top of their mortgage repayments in the current economic climate. The last thing that anybody wants to see is hard working families losing their homes, which is why the action being taken by the Scottish Government is so important. “Through a mortgage to rent or mortgage to shared equity scheme, we are committed to providing much needed support to families in the economic downturn. “The SNP Government has been consistently ahead of the rest of the UK in providing much needed support of this nature, and I am glad that we have been able to commit additional resources to increase the protection available to homeowners”. Applications opened on the 1st January 2009 and entrants have till 13th April 2009 to enter. “The Future Farmer Awards are a great way in which people pioneering new, practical ideas in farming can receive some recognition and support to encourage others to take up their practices. “I would like to encourage residents of Banff & Buchan to nominate anybody that has practical ideas that could improve the environmental sustainability of farms across the country. Banff & Buchan MSP Stewart Stevenson has welcomed the announcement that the Scottish Government is to commit £28 million for health boards to tackle the problems posed by drug addiction. NHS Grampian, along with every health board in the country, is to receive a 13.5% increase in their budget for tackling drug addiction thanks to this money as part of the SNP Government’s National Drugs Strategy, taking their budget for 2009/10 to £2, 593, 745. In addition to this, NHS Grampian will also received £938, 000 towards a new treatment centre in Aberdeen. “This additional money will be of enormous help in treating drug misuse in Banff & Buchan and the wider region. The importance of treatment and rehabilitation of drug addicts should not be underestimated, as evidence shows that for every £1 spent on treatment, £9.50 is saved in reduced costs to the Scottish economy. “By putting resources in the hands of health boards rather than focusing on national programmes, the Scottish Government aims to maximise the resources available to frontline treatment programmes, tailored to the needs of local communities. “Drug misuse deeply harms individuals and communities, and although there are no quick solutions we are determined to do everything possible to tackle this problem. The SNP promised to develop a long-term National Drugs Strategy ahead of the 2007 election, and this latest announcement only serves to demonstrate how we are fulfilling that promise”. "I am delighted for the Banffshire Partnership and Home Start NE Aberdeenshire. These are substantial sums they have been awarded and clearly a lot of hard work has gone into making the application to the Lloyds TSB Foundation for Scotland and producing bids which have secured this level of funding, so I congratulate all those involved in this success. "These latest awards are very welcome and show that, despite some lottery funding being drained off to support the London Olympics, there is still money out there for local groups and organisations. This is quite an achievement for the groups involved and this funding will benefit the communities greatly. "There is now no doubt that Banff & Buchan is definitely on the up as far as lottery and other funding goes and I hope that this momentum keeps up." Banff & Buchan MSP Stewart Stevenson has welcomed an announcement by the Scottish Government that it will fund the construction of a new NHS dental facility in Fraserburgh to the tune of £2.5 million over the next two years. The funding is part of an £82 million investment that is being made nationally, £7.62 million of which is being spent in the NHS Grampian area. “I am delighted that this substantial investment is being made to build a new dental centre in Fraserburgh. The problems in dentistry in our region are well documented, following years of neglect under the previous administration. “The SNP Government is committed to improving dentistry in Banff & Buchan, and across Scotland generally, as shown by this latest investment. Taken with other measures, such as funding a £21 million dentistry school in Aberdeen, we are determined to make a real difference in this area. A multimillion pound investment for Scotland's construction industry with the appointment of a contractor for the M80 Stepps - Haggs project has been announced. The national transport agency Transport Scotland has signed the contract that awards Highway Management (Scotland) Ltd the £310 million project to construct a new 11 mile (18 km) stretch of the A80 between Stepps and Haggs. This will also include costs for maintenance of the road for 30 years. Transport Minister Stewart Stevenson said that the project is a welcome boost for Scotland's construction industry as it will deliver over 500 jobs over the two-year construction period. "The Scottish Government is absolutely clear that an efficient transport system is essential for enhancing productivity and delivering faster, more sustainable growth. "This project is another example of how our continuing investment is helping the hard pressed construction sector now, creating hundreds of construction jobs. "The A80 is an essential part of the trunk road network in central Scotland and one of the most heavily used. This project will complete the missing gap between Stirling and Glasgow bringing real benefits to the surrounding communities and across the central belt as a whole." Against the backdrop of a global economic slowdown Transport Scotland is driving forward, on behalf of the Scottish Government, the largest transport investment programme Scotland has ever seen with a number of vital projects. Over £2.5 billion will be invested in Scotland's strategic transport networks over the next three years and the M80 project forms part of this major infrastructure programme that will return significant benefits across the country. This will deliver not only substantial, direct economic savings to businesses and individuals that come from improved transport links, but also improved road safety and other wider social gains such as better accessibility and reduced environmental impact. "Tremendous effort has been demonstrated by all those involved to achieve financial close in challenging times and this is something we can all be proud of. I would like to thank the team for their tenacity and hard work. We are looking forward to working further with Transport Scotland in the coming years." Early preparatory works have already started along the route and construction will begin immediately for the motorway to be fully opened in 2011. Transport Scotland is the national transport agency responsible for road, rail and national concessionary travel. It is an executive agency directly accountable to Scottish Ministers and came into effect January 1, 2006. Highway Management (Scotland) Ltd, consortium comprises Bilfinger Berger UK Ltd, John Graham (Dromore) Ltd and Northstone (NI) Ltd.
Banff & Buchan MSP Stewart Stevenson has welcomed the latest statistics that reveal an increase of 4.5% in the number of prescription drugs that were dispensed in April-September 2008, compared with the same period the previous year. A total of 42.5 million items were dispensed in the first half of this financial year, following the Scottish Government’s move to cut prescription charges from £6.85 to £5. “The SNP is committed to the principle that the NHS should be free at the point of delivery and believes that prescription charges represent a tax on ill health. Our decision to cut these charges ahead of scrapping them has been vindicated by the increased take-up of prescription medicine. “This increase reveals that a significant number of people were avoiding prescription medication because of the financial burden associated with it, something that is unacceptable in Scotland’s NHS. “Scotland’s health can only benefit by removing the economic barrier to wellbeing that too many people in Scotland have faced. That is why the SNP Government is determined to phase out prescription charges for everybody by 2011, a year ahead of our manifesto commitment. Banff & Buchan MSP Stewart Stevenson has joined Scottish Gas in calling for householders to apply for the Scottish Government’s Central Heating Programme before its current incarnation expires in March. Under the scheme, pensioners who have broken or inefficient systems could benefit from a replacement system, and a more efficient system could help to cut energy bills. An extra £10 million has been invested into the Scottish Government’s Central Heating Programme this financial year to install more than 14,000 central heating systems this year before the current Programme ends, and applications for the programme can be made on freephone 0800 316 1653. “I would urge eligible residents of Banff & Buchan to take advantage of this scheme before the application criteria change. It’s a simple application form taken over the telephone and anyone aged 60 years or over who owns or privately rents their home may qualify if they have never had a central heating system. “Additionally, all people over the age of 80 and people over the age of 60 that are in receipt of the guarantee element of the Pension Credit with a partial or inefficient system, or one that is broken beyond repair also qualify for this scheme. “A free, optional, benefits entitlement check offered as part of the Central Heating Programme has already ensured many householders have received additional weekly income as a welcome boost at a time when fuel, food and other domestic bills are rising. “I encourage all residents of Banff & Buchan who may be eligible to get in touch with the programme and make an application”. Banff & Buchan MSP Stewart Stevenson has welcomed the news that the Scottish Government has successfully persuaded the Russian Federation to lift restrictions on Scottish fish being exported to Russia that had been in place since April 2008. The Russian market is a vital one to the fishing industry, with 48, 000 tonnes of pelagic fish worth over £42 million having been exported there in 2007. “The reopening of this critical trading link can only be good news for fish processors in Banff & Buchan that for months had been denied access to this market. “That these restrictions have only been lifted north of the border is testament to the hard work of the Scottish Government in negotiations with Russia over the issue, and is a much needed boost to Banff & Buchan’s fishing industry. Banff & Buchan MSP Stewart Stevenson has welcomed the publication of the SNP Government’s budget bill for 2009-2010, detailing a range of measures designed to help hard pressed Scots through the current economic difficulties. 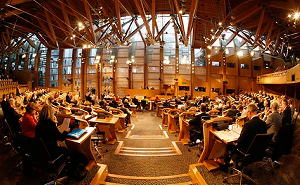 The budget provides details of the £230 million in accelerated capital spending that will be committed this year in order to give a timely boost to the Scottish economy, supporting 4, 700 jobs across the country and reflecting the Government's decision, taken within its first days in office, to put sustainable economic growth at the heart of everything it does. “This budget demonstrates that the Scottish Government is committed to doing everything in its power to help people struggling with the current economic climate. By funding another year’s freeze in council tax, we are putting money back into people’s pockets at a time when they need it most. “We are also taking real action to help small businesses by moving to the second phase of the small business bonus that will see 1, 141 businesses in Aberdeenshire pay substantially reduced business rates, and 6, 839 paying nothing whatsoever. These businesses are some of the most exposed to the economic storm, and this latest step will be of huge assistance to them, protecting jobs and livelihoods. “By accelerating the money available to capital projects this year, we are also taking action to support thousands of jobs in the hard pressed construction industry. “I believe that people in Banff & Buchan and across Scotland will welcome these measures and I sincerely hope that the other political parties will support this vital investment in Scotland economy and public services”. Banff & Buchan MSP Stewart Stevenson has met with representatives from across Scotland’s venison industry in both the public and private sector during a reception held by the Scottish Venison Working Group. A range of organisations including the Association of Deer Management Groups, British Deer Farmers Association, Cairngorms National Park Authority, Deer Commission for Scotland, Forestry Commission Scotland, Scottish Gamekeepers Association and Scottish Quality Wild Venison were present at the event and were able to discuss the many challenges and opportunities that both the wild and farmed deer sectors are facing. “Scotland’s venison sector is an important part of our rural economy, with wild deer generating more than £70 million per year for the Scottish economy through both tourism and as a high quality food source. “I was delighted to be able to learn more about the issues affecting the industry and the opportunities that are available to it. 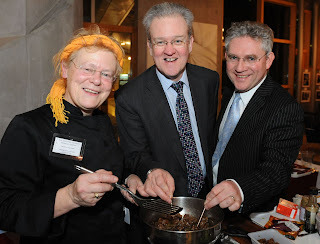 I was also delighted to be able to sample a range of wonderful venison dishes during the course of the event. Lifeline air services between Glasgow and the remote communities of Campbeltown, Barra and Tiree have been secured until March 2013. The announcement follows the results of a tender process for the three vital routes, which sees the contract being awarded to Loganair. ""The Scottish Government wants to do all it can to boost island economies and deliver real improvements to our transport infrastructure. "I am delighted that we have managed to secure the continuation of these vital services for the communities of Campbeltown, Barra and Tiree. "These services are a lifeline and provide a direct link to employment, education and social activities for the people of Argyll and the islands. "Access to affordable and regular transport services is essential if we are to ensure that our island and rural communities continue to prosper and grow." Following a recent tendering exercise, Loganair Ltd has been awarded the contract to provide lifeline air services between Glasgow International Airport and Campbeltown, Tiree and Barra. The contract will be for the period 1 April 2009 until 31 March 2013. The present contract expires on 31 March 2009. All three services to Campbeltown, Tiree and Barra have been awarded under Public Service Obligations (PSOs) and the new contract will come into effect from 1 April 2009. PSOs have been in effect on the services between Glasgow-Tiree and Glasgow-Barra since 1994, and Glasgow-Campbeltown since 1996. Competitive bids were sought on an EU-wide basis under EC Regulation 2408/92 (updated by EC Regulation 1008/2008 of 24 September 2009). There are no state aid issues - the competitive tendering under the EC Regulation applies. The air services are vital for the economic sustainability of fragile communities and the award provides continuity of services. One return trip per day (except Sunday) between Glasgow and Barra. Public exhibitions setting out proposals for the Forth Replacement Crossing will take place from the 20th January 2009 at locations in Edinburgh, Fife and the Lothians. Transport Scotland is taking the Forth Replacement Crossing exhibition to 12 different venues over two weeks to allow members of the public to view the plans for the crossing. Engineers from Transport Scotland and its consultants Jacobs Arup will be on hand to explain the work undertaken during 2008 to develop the strategy for the new crossing over the Forth and answer questions. This follows the ministerial announcement in December which confirmed that the Forth Replacement Crossing strategy will make use of the existing Forth Road Bridge as a dedicated public transport corridor. The project is to be progressed via a Parliamentary Bill to be introduced towards the end of 2009. "The Scottish Government and Transport Scotland wish to consult widely on the latest plans for the Forth Replacement Crossing, in particular with regard to the preferred corridor for road connections to and from the new bridge. Detailed plans will then be developed for the Parliamentary Bill process. "The replacement crossing is the biggest Scottish infrastructure project for a generation and we would invite local residents, community groups, commuters, businesses and anyone who has a stake in the future of the Firth of Forth to come along and find out more about the proposals." Exhibitions will be widely publicised in the press, on radio and on the web and in localities around the crossing from this week.